A little more than three years ago, Ken and I were vacationing in Europe for two weeks. We spent a week in Spain, followed by a Mediterranean cruise out of Barcelona that took us to France and Italy. On our third full day, we were touring in Seville, a beautiful city in Spain. After a full morning and early afternoon of sightseeing, our tour bus took us back to our hotel. Ken used the exit in the middle of the bus, while I used the exit in the front of the bus, because I thought the middle exit steps were too steep for my klutzy self. As I exited at the front of the bus, I saw there was a minor commotion near the middle of the bus. At the center of that commotion was Ken. He had fallen down the steps of the bus. He sunglasses, which had been clipped to his shirt, flew off and slid across the sidewalk. I saw him start to stand up, and then sit back down on the ground. Three or four folks we had met earlier on the bus, including the tour guide, were helping Ken gather some things that had fallen. There was a small cafe with outdoor tables and chairs about 30 feet from the bus. I told Ken that the sidewalk was dirty, and to see if he could get up to sit on one of the cafe’s chairs. He got up, not saying much except that he hurt his ankle. He sat down on one of the cafe chairs, and I pulled up a chair to face him. I looked down at his foot, and told him to lift his leg so I could look at it. I looked up at Ken’s face, and his normally flushed red face was emptied of color. His face appeared gray and ashen. His eyes were rolling in to the back of his head and he was completely unresponsive. I immediately thought he must have also hit his head in the fall, even though he only mentioned his ankle. I started screaming at the top of my lungs for somebody to call an ambulance. In my high-school Spanish, I started yelling, “Necesitamos un doctor! !” “Ambulancia!” (Even though I had no idea if that was the word for ambulance in Spanish, but it seemed close enough). Nobody seemed to do anything, including our Spanish-speaking guide, so I started running into nearby storefronts, saying, “Llame ambulancia,” (call an ambulance) hoping I was making some sort of sense or even using the correct vocabulary. 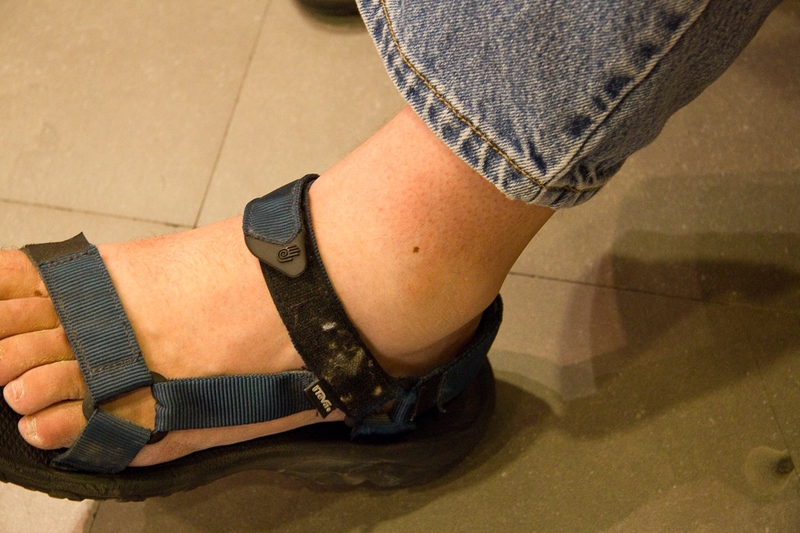 Ken’s ankle, about an hour after the fall. To make an already long story short, Ken never did see a doctor while we were in Spain. Amazingly, despite an insane amount of swelling and blood pooling, he had very little pain. In fact it was most painful when he wasn’t moving, so the fact that we walked a lot during the rest of our vacation seemed to help. 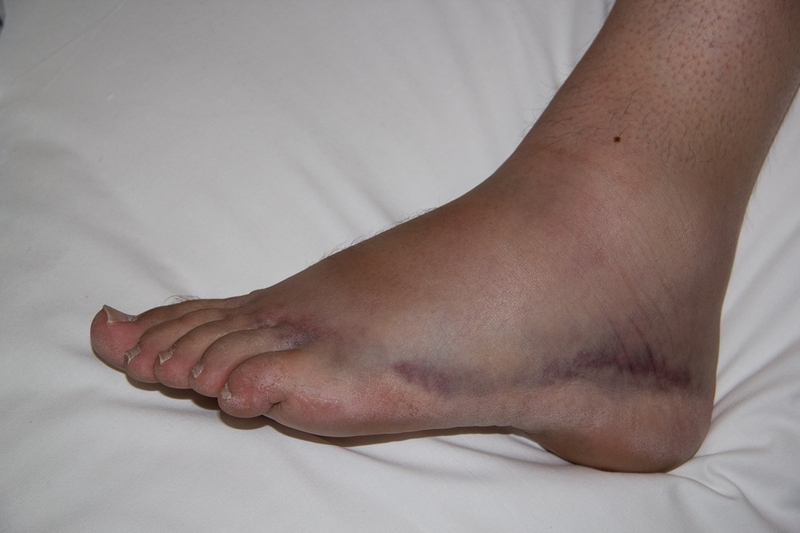 Ken’s foot, five days after the fall. 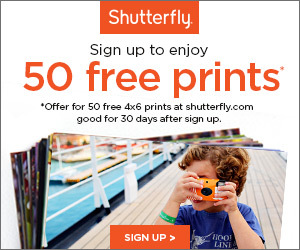 Okay, so why the story? That incident made me very cognizant that I needed to be prepared for an emergency while abroad. Luckily Ken was just fine, but any serious situation can arise while on vacation. I had no idea how to call Spain’s equivalent of 911. Similarly, if there had been some sort of natural disaster or political unrest while we were traveling somewhere, I had no readily accessible way to contact the U.S. Embassy. Given all of the fear mongering leading up to the Olympics in Sochi, I made sure that I had every phone number and address readily accessible. On my phone, I simply created a single contact entry called “Russia Trip Contacts” on my iPhone. The iPhone, and probably most either smart phones, allow you to create multiple contact methods for a single entry. I just customized label for each phone number I entered in the “Russia Trip Contacts” contact. 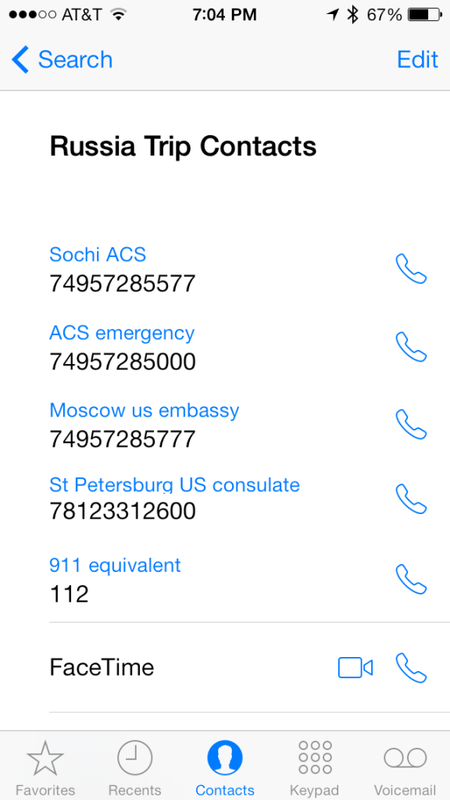 I added the phone numbers and addresses for the U.S. Embassy in Moscow (including the 24 hour emergency number), the U.S. Consulate in St. Petersburg, and the temporary American Citizen Services Unit that was being set up in Sochi. I also added the Russian equivalent of 911, which was 112. (The State Department provides a handy list of 911 equivalents here. I also printed out a copy of these important numbers in case we didn’t have access to our cell phones. There are many other things you can do, like checking expatriate forums to see what local hospitals are recommended, especially in countries where health care can vary so much. We also registered with the STEP program, so that the State Department knew how to reach us if an emergency occurred while abroad. 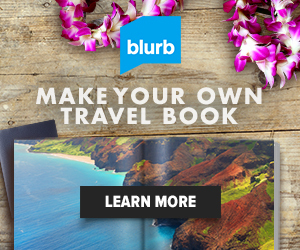 I think we all know that we should do things like leaving copies of our itineraries with friends or family, but it was Ken’s ankle incident that made me realize that we, as travelers, needed to be prepared ourselves for emergencies while abroad! Have you ever had an emergency while abroad? 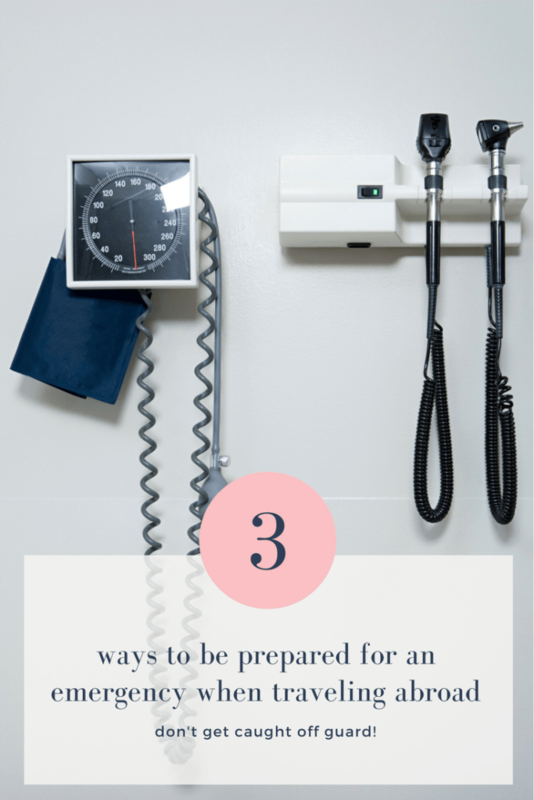 Ever been caught up in a natural disaster or political unrest, or had a medical emergency? What do you do to plan for potential emergencies while you’re abroad? **Ken seems perplexed why people freak out when he faints. He had a routine physical back in November, and he had to get bloodwork drawn. He did not tell the phlebotomist that he has a tendency to faint, and of course, he fainted while getting blood drawn. When Ken woke up, there were four people standing near him and he could hear someone saying, “He’s not responsive, he’s not responsive.” He was fine, and now it’s all over his medical charts that he has to lay down when getting bloodwork taken.